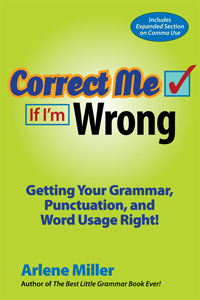 Here’s another great blog from The Grammar Diva, Arlene Miller. She has a gift of being quick & to the point, with a sense of humor, when it comes to using good grammar. This entry was posted in authors, California Writers Club, humor and tagged authors, books, communication. Bookmark the permalink. 2 Responses to Why Use The Oxford Comma? Thank you so much, Robin, for the shout out and link and kind words. Always so appreciated!!! You are welcome, Arlene! I always appreciate the directness of your books.